I wrote an article a while back stating why I believe that Triple H needs to take over the reins from Vince McMahon now. In the said article, I discussed how I believe Vince is holding back talent, and does not allow new superstars much of a chance to succeed on the main roster. We all know by now that Vince looks for guys that are over 250 pounds, with a chiseled physique to be his poster boys of the company. However, with the influx of indie wrestlers coming to the roster, it is getting harder for McMahon to find that one or two guys who are the type he prefers, to be the face of the company. There is nothing wrong at all with any of the independent stars that Triple H has brought to the company, as most of them are outstanding in-ring workers. The problem is that Vince doesn't see them as main event stars, due to most not looking, or built up physically like he wants them to be. Triple H has allowed all the independent stars to shine in NXT, by showing us their in-ring ability and the charisma they have. Most of them have exceeded expectations in NXT, with men like Johnny Gargano, Tomasso Ciampa, Ricochet and so many others delivering high quality matches on a consistent basis. Triple H has shown that if the superstars are given a certain amount of freedom and are presented with decent storylines by creative, they have more than what it takes to succeed in WWE. So why can't many superstars from NXT transition well to the main roster and achieve similar success? The problem lies between a few things. Vince McMahon being in charge instead of Triple H, WWE Creatives giving them bad storylines, an already overcrowded roster and not being built up before their debut to get the casual fans who don't watch NXT, familiar with them. Vince ultimately is the biggest obstacle, considering that he has the final say on everything that happens on the main roster. Triple H has proven that you don't have to be a big meathead of a performer to be somebody the fans want as face of the WWE. It should always be left up to who the fans support the most, that get's to be chosen to lead the company. After all, WWE is supposed to be doing just that, not just trying to push certain homegrown big men over that are limited in their skill set and have a bland character (i.e. Baron Corbin, Roman Reigns before his return). Vince is the person who is preventing all of his talent from breaking the glass ceiling, because of not being what he looks for. It seems that it is more about what he wants, rather than all the fans. He needs to remember that WWE would not exist today if it wasn't for us spending our hard earned money watching his product. He certainly wouldn't be a billionaire or have a globally recognized company. Vince has become very selfish over the years as it appears, and doesn't seem to be as understanding of what people want nowadays compared to the '80s, '90s and early 2000s. As Vince has gotten older and the product has changed eras, it's become clear that he isn't the brilliant genius of the business anymore, as he once was. This is not a knock at McMahon because we all age, and we all struggle to adjust with the times. Vince just needs to understand that all the formulas and methods that used to work, don't work or sit well with the fan base these days. McMahon's old school ideology of the business is proving to be seriously outdated, and is preventing the WWE from reaching even greater heights, perhaps even higher than the attitude era. Vince is hurting the business by failing to present the audience with a fresh outlook, new storylines and better quality main roster matches. Allowing superstars to have more of an edge and creativity to their character while doing away with the traditional heel-babyface dynamic, would stop storylines being so monotonous and repetitive. Scrapping the PG programming would help make the feuds seem more real, rather than us getting generic and heavily scripted promos and feuds. Additionally, seeing simple storylines and storytelling, along with quality, fresh in-ring matches would go a long way to helping the main roster become a success. It's hard to believe that any of it could happen under Vince McMahon's watch, but if Triple H gets full control, then expect of these changes to occur. Triple H has proven time and again that he is willing to give everyone a chance to be successful. He has a better understanding of what the audience wants to see, and knows how to execute storytelling simply but effectively. 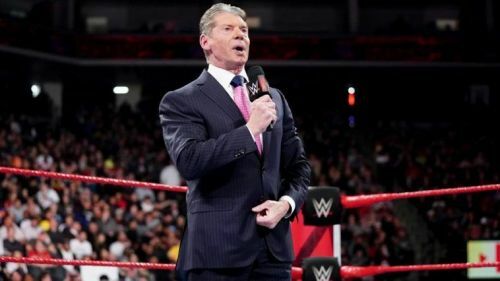 Unfortunately, it could still be a long time before that happens, as Vince is still as hands-on as ever and doesn't seem ready to either retire or focus on his other project (the XFL). Vincent Kennedy McMahon will always be known as a billionaire with a brilliant mind for the business, whenever he chooses to retire or pursue the XFL project. He is without question the greatest promoter to ever be in the professional wrestling business. Some may not be fond of him for closing down and destroying other wrestling territories, but one can't argue with the success that he has had along the way. I am certain that he has groomed Triple H and Stephanie to be able to manage the company once he does leave/retire. I think Triple H has a brilliant mind himself and can build the underutilized talent back up. They will be given more opportunities under his tutelage, and it will also be like the dawning of a new era having " The Game" in charge. If/when it happens, WWE will probably go back to being the company everyone wants to go to, and will prove to the world why they are the only true global juggernaut of this industry. Sound off your thoughts below and thanks for reading.